Three innovative partnerships developed in collaboration with NAU have earned a 2015 Excellence in Innovation Award from the American Association of State Colleges and Universities. The university will be honored Oct. 25 in Austin. The AASCU awards recognize and honor member institutions that demonstrate excellence and innovation in their approach to achieving student success, regional and economic development, international education, teacher education, and leadership development and diversity. 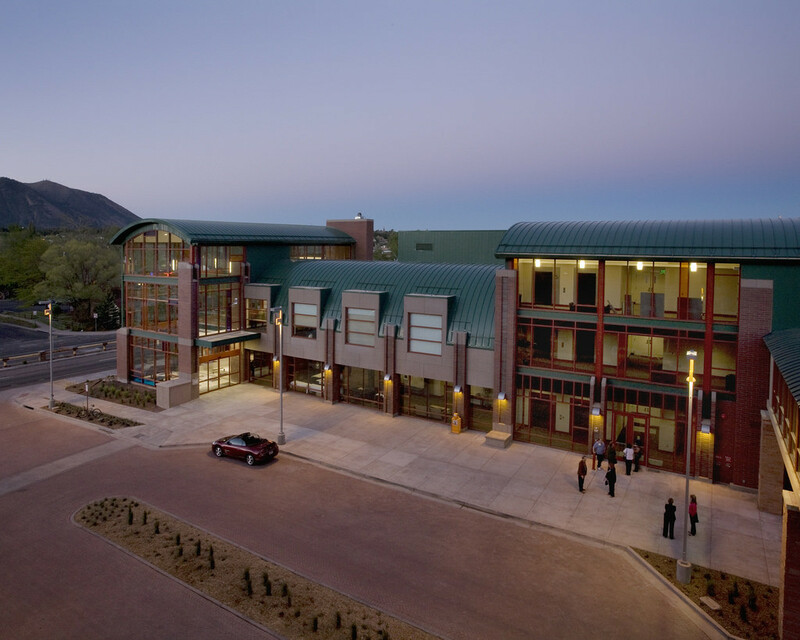 The Northern Arizona Center for Entrepreneurship and Technology, known as NACET, builds companies based on the intellectual property of NAU, TGen North and entrepreneurs in the region. The Economic Collaborative of Northern Arizona, or ECoNA, was developed by NAU and community leaders to improve economic development competitive and effectiveness. Innovation Mesa, scheduled to open in July, was developed by NAU and the city of Flagstaff to solve a problem of appropriate support and real estate for bioscience and tech companies. As a business accelerator program, Innovation Mesa will give small businesses that are beyond the startup phase a place to operate and grow. Bowen cited NAU’s collaboration in developing a growing knowledge-based economy in the biosciences, technology, research, software, advanced manufacturing, astronomical sciences, higher education and medical services. September 17, 2015 – Congratulations Northern Arizona University on receipt of the American Association of State Colleges University’s 2015 Award for Innovation Excellence! And thank you drafters of the “NAU earns award for innovative economic partnerships” for including the three components that makes NAU the appropriate recipient of that award. For what its worth? Northern Arizona Center for Entrepreneurship and Technology might want to share a “That was then, this is now” sort of story at next News opportunity at NAU.edu. An example of progress, even at 2015, can be found by the ever improving technology capability of communication software and applications now utilized by NAU and Google through Gmail. For we long-timers, it’s likely that in a couple more years students and community members will not be able to recall the arduousness of technology transition and learning that transpired at the result of both, societal transition to new technologies ( i.e., GMAIL and its features) nor NAU’s persistence at that single technology as a reliable and consistent medium of communication.